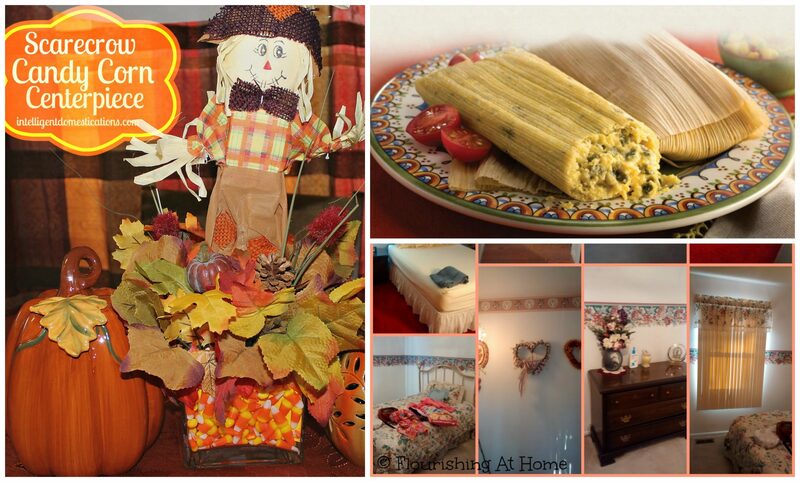 It’s Week 5 of Home Matters Linky Party! We are having so much fun reading all your posts, learning about your creative work, and getting to know and connect with you! Thanks to all those who linked up with us last week. We had 37 link ups this past week. Let’s keep on linking and sharing each other’s posts! Congrats to those who have been featured this week! If this is your first time here, Welcome! Kristen at The Road To Domestication shared a great review of Cedar Lane Natural Foods which are Gluten Free. Shirley at Intelligent Domestications shared an entry for a Dollar Store Fall Craft contest, Scarecrow Candy Corn Centerpiece. Roopini at Let’s Make it Lovely shared a fantastic DIY project. You can read all about it here: DIY Starburst Mirror. Check out this beautiful Make Your Own iPad Cover DIY from Sahana at Vikalpah! Get a load of these Anthropologie Inspired Confetti Glasses from Cassie at Kent Heartstrings. And new this week, here are the two posts that tied for MOST CLICKS! Please Note: We have pinned your featured links unto our Home Matters Awesome Pins Board. You can follow along here: Home Matters Awesome Board on Pinterest. Thanks for coming to the Home Matters Link Party and have fun linking up! Thanks for the party, I see some great recipes to visit and try. I have added your banner to my blogs sidebar. Have a great week!! Karen, thank you so much for linking up with us and sharing the banner! We appreciate you.